Specifically designed to handle most fuels and industrial lubricants, Tygon F-4040-A lubricant and fuel tubing resists the swelling and hardening caused by hydrocarbon-based fluids. This significantly reduces the risk of failure due to cracking and leakage. Its minimum extractability safeguards the liquid or vapor being transferred against adulteration. Because it is extremely flexible, Tygon F-4040-A tubing for small engines simplifies installation, even in tight places. 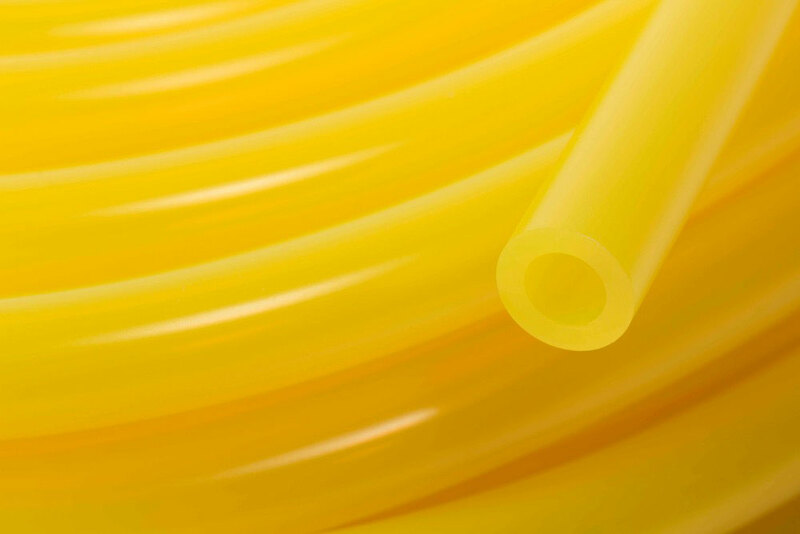 It is translucent yellow for positive identification and to allow easy flow monitoring and is routinely used to handle gasoline, kerosene, heating oils, cutting compounds and glycol-based coolantss.